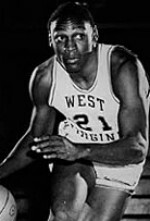 Drafted: Selected by the San Francisco Warriors in the first round (9th pick overall) of 1968 NBA Draft. WVU. Drafted by Dallas Cowboys. Could have gone to any school but chose one close to home. A consumate pro.